Today, there are many things that symbolize people’s thoughts, messages, and emotions. But one thing that remains a classic gift of many meanings are flowers. Ever since the beginning of time, they have been given to and received by many. In Pasadena, TX, finding a local retail florist will only take a few minutes. But before driving to a floral boutique, it’s best to take a moment and think of their metaphors. Flowers have established meanings of their own. This is why when words fail, people turn to them to deliver their messages. Whether it is for a friend, a special someone, a mother, or a teacher, they can surely grasp what their symbolism means. A sunflower is known to exemplify adoration and joy which is why they are perfect gift ideas to brighten up one’s day. Tulips, another crowd favorite, have different denotations depending on their color. A red tulip evokes the perfect love, while a white one expresses sincerity in apologies. The last example is, of course, the rose. There is no other floweret more celebrated like the rose, and like the tulips, each color has a distinct message. A red rose is one the ways to say “I love you.” Love, passion, and beauty are exuded with this color. Buying one in white shows purity, innocence, and mysticism. And on the other hand, a black rose spells “Farewell.” With the many sentiments and feelings represented by these blooms, it’s no wonder why they endure in every culture, race, and time. With a flower in mind, the arrangement should be next considered. Usually, the presentation is based on the occasion. Florists, with expertise and creative artistry, already know what blooms and designs match with the intention of giving. Bouquets and boxes of stemmed blossoms are perfect for congratulatory purposes, a romantic or birthday gift, and peace offerings. As a sign of sympathy and loss, wreaths, casket sprays, and basket arrangements are the conventional products and services offered. In any occasion, the customers free to customize and personally pick the florets to be used. To avoid the quick wilting, customers should always inquire on the freshness of the flowers in store. Be wary of those trying to sell their blooms for a discounted price. This move has a reason, and they won’t probably last the entire week. Dropping by the shops earlier means they haven’t been spoiled by the day, so it’s best to go early. For long-lasting blossoms, choosing those with partially opened buds will give the clients most value to their money. For a more appealing display, request greeneries such as birch stems, ferns, and geranium leaves from the arranger. Checking the fragrance of florets is also a technique to sense if they are newly-harvested. The trick to making them last longer is daily water replacement and the angular cutting of the stem. Flowers are considered one of the most thoughtful gifts. Going to local florists and sending gorgeous blooms will make someone else’s day. And with custom-made and well-planned arrangements and design, these blooms will surely speak for themselves. “Enchant” means to fill someone with great delight, or to put someone or something under a spell. For kids, the word is also more often than not associated with beautiful, mysterious, and magical things such as an enchanted kingdom, princes and princesses, and even unicorns. Now, pair the word with “florist” and you will expect nothing less than magical and grand flower arrangements – which is exactly what Enchanted Florist promises to deliver to you. Life is full of happiness and joy despite all of the challenges that may come from time to time. We get to celebrate a number of occasions with our family, friends, and even workmates – birthdays, graduations, job promotions, championships, awards, anniversaries, weddings, festivals, new kids, new acquisitions such as houses and cars, Christmases, New Years, Thanksgiving, and so much more. Aside from these, we also have moments wherein we just want to tell someone how much we miss them, love them, are thinking of them, or even how sorry we are for something we have done. The Enchanted Florist can assist you no matter the celebration nor occasion. The amount of passion, thought, and skill that our florists invest in every design and arrangement boosts the beauty and sentiment of any celebration. We can also collaborate to design and build a special garden for you to take to an enchantment home or your workplace. No one can underestimate the power of flowers. Flowers can brighten up someone’s day, and cheer up a place – making the space more vibrant, pleasing, grand, and appealing. Their bright colors and the pleasant smell will surely add to the overall beauty of an event or moment. Flowers have a lot of species and variety – so you are guaranteed to have a lot of choices for your requirements. Some popular choices include roses, dahlias, tulips, orchids, lilies, sunflowers, daisies, succulents, snapdragons, hydrangeas, and hyacinths. Florists have default go-to designs and arrangements for every occasion, yet most are still willing to work side by side with their customers to come up with a bespoke one. Here at Enchanted Florist, most of our florists have backgrounds in horticulture, fashion, and interior design, plus their innate creativity and innovation, you are ensured of a unique and exceptional flower arrangement for your celebration. At the same time, Enchanted Florist is guaranteed to come up with stunning combinations of flowers and designs, regardless of the theme – whether modern, vintage, edgy, rustic, or boho chic. We have seen a lot of variety in flower arrangement styles for the past few years, and today, flowers do not just come on vases. Flowers can hang or get attached to different and unconventional things, such as boxes, tires, aquariums, water bottles, drinking glasses, to name a few. Flowers are also used to form different shapes and sizes – by arranging them to look like animals, letters, and anything under the sun. You can always count on the Enchanted Florist to lend charm and enchantment to your moment, event or celebration. When it comes to the expression of one’s feelings, nothing can come close to the eloquence of a rose. Depending on the color that is chosen, roses can convey different messages to the recipient. Red will always be equated with love and romance while yellow will be associated with joy, friendship, and getting well. Lavender roses convey majesty and enchantment while pink shows love, gratitude, and appreciation. White is for purity, spirituality, innocence, and sympathy while orange will convey passion, desire, and enthusiasm. Whatever color you eventually choose, a florist in Deer Park TX that specializes in roses can help you with your selection. Unfortunately, before you can do that, you have to choose first the best florist for roses in Deer Park, TX. Here are some things that you may need to look for when choosing the best florist for roses. The best rose florist in Deer Park TX has an excellent reputation in the community. This means that almost everyone knows her by her name as well as by the beautiful roses that she gives her clients. There must not be a morsel of negative comment about her to earn the community’s utmost admiration and respect. So, to find who this highly reputable rose florist is, listen to what the whole community is saying. You should know that there are more than a hundred species of roses from your ordinary garden variety to the hybrid tea rose to the Western rose and the flaky rose as well as several tens of others. The best rose florist in Deer Park TX should be able to provide you with an interesting mix of the different varieties of roses to suit a specific social need. For example, if you need to convey a message of purity and innocence then you should go for the Rosa carolinae, Rosa pimpinellifoliae, or the Rosa laevigatae. If it is love and passion that you want to convey, then the rose florist should point you to a Rosa chinensis, Rosa synstylae, or Rosa gallicanae. The point is that the best rose florist in Deer Park TX should know her rose varieties very well and the occasion they are perfect for. 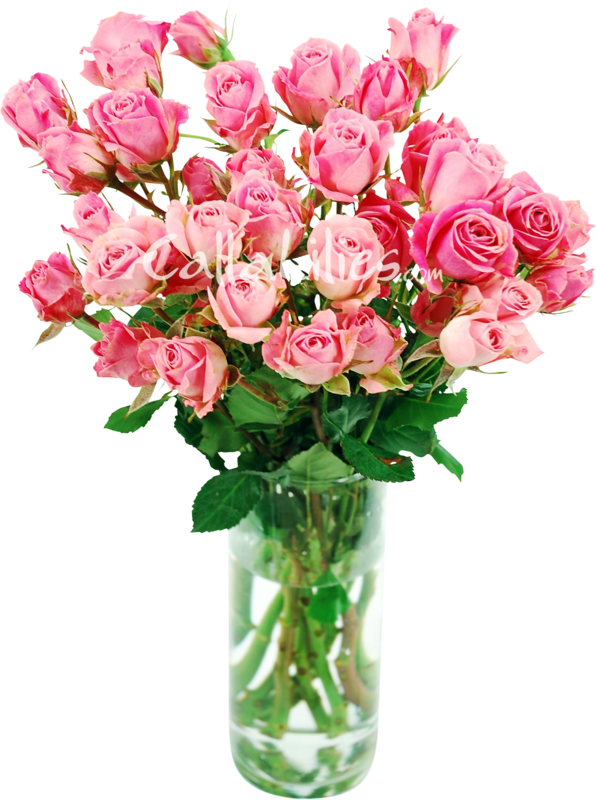 A rose florist should also provide these flowers at very reasonable prices. Many of the species of roses may have come from Southeast Asia but today’s technology already allows cultivation and hybridization in the United States. This should make the prices of roses very competitive. The best rose florist in Deer Park TX should therefore provide excellent value for her roses. A flower shop should be able to make good on its promises especially when it guarantees delivery of only the freshest roses to its clients. This is important because of the relatively short shelf life of cut roses. Unless you specifically ordered for dried roses, it is always best to enjoy the fragrance of roses while they are still fresh. Choosing the best rose florist in Deer Park TX is quite easy. Just listen to what the community has to say and you can follow their lead. There is no denying that Texans have state pride that is unseen and unparalleled in the other 49 states of the Union. One can readily identify an American overseas; but when a Texan strikes a conversation, everybody somehow understands what that person means. That said, it is no wonder that many flower shops Texas enjoy the same feeling of pride when it comes to both their floral services and the freshest flowers that they provide for their clients. It is quite understandable why many flower shops all over the great state of Texas feel pride in the services that they provide. With the rich history of the state, having been under 6 flags throughout its known history, businesses have to show that same kind of pride in their business dealings. Even the simple task of sourcing fresh flowers from gardens all over the state, each of these flower shops make sure that the flowers themselves reflect the character that has come to embody a Texan. So, don’t belittle flower shops Texas as they are dead serious in what they are doing. From adorning modern day social gatherings and even special celebrations, Texas flower shops make sure that only the freshest flowers are used. Additionally, they will only provide clients with the correct flowers that are appropriate to the occasion; they give so much thought tp the meaning of flowers that they can take on a character of their own. Texas flower shops take pride in the fact that all of their flowers are produced locally which means every flower stem has been grown and nurtured by a local Texan. This is a guarantee that the flowers can stand up to the scrutiny of a very demanding Texan resident. But don’t be fooled. Flower shops Texas also source some of their flowers from other states and from overseas. You have to understand that there are plant and flower species that live and thrive only in certain regions of the planet. However, this is not a big problem for these enterprising shops as they know how to build mutually beneficial business relationships with virtually any flower grower anywhere in the world. You could say that the penchant for diplomacy runs deep in Texas culture that even small flower shops Texas can successfully land substantial overseas flower resources for those once-in-a-lifetime occasions. And such occasions are revered in Texas. This is just one of the reasons why Texas flower shops will go to lengths to produce bouquets of flowers that convey a particular message. No words need to be uttered simply because the flowers will already speak a thousand emotions. Such is the expertise of florists in the vast state of Texas that even the friendly nature of Texans will seem lame when supplanted with well-arranged flowers. Of course, saying how good Texas flower shops are clearly one thing. And there is only one way to find out if what others are saying about flower shops Texas are true or not. And that is to buy flowers from them and let the flowers do the talking. Funerals are not easy for anyone, and expressing your condolences can be difficult. Emotions flow and can be painful when trying to extend your sympathies to friend or family member. Below are 15 funeral flower card messages for you to use. Sending flowers to the funeral home or church for the service is one way many people express their sympathies. Others chose to wait and send them to the survivors home or office. Both ways are acceptable and serve as ways to remind the grieving that they are never alone. This is why it is some important to send flowers, and even more important to include an enclosure card with the right funeral flower card messages. There is no single correct way to express condolences. Many begin to compose a sympathy card message but get lost somewhere between “is this helpful” and “am I being insulting?” It is completely natural to have a difficult time writing sympathy cards. After all, often the sender is a close personal friend of the family was the same to the deceased. There is no need for this difficulty anymore. Florists understand the grieving process. To make the process of sending sympathy flowers easier on everyone, below is a list of condolence card messages compiled for you to use. 8) Thinking of you with sincere sympathy at the loss of someone so dear. 10) May the peace which comes from the memories of love shared comfort you now and in the days ahead. 13) Condolences on your loss. May you find strength in the love of God. 15) Words are not enough to convey my sympathies at a time. Thank you for reading my funeral flower card messages suggestions, please let me know if you have any ideas or sentiments that you like to use for funeral flower card messages and I will add them to the list. Please leave any ideas below. Have you recently received a floral delivery? Make sure you follow these easy steps to ensure that your new beautiful bouquet lasts as long as possible with our fresh flower care instructions. So, you just had a floral delivery, now what? Keep fresh flowers away from drafts and extreme temperatures, this can quickly dry out the flowers and cause wilting. If your flowers came in plastic, remove this as soon as possible and recut stems under water if possible. Quickly put flowers in water after being cut. Avoid placing flower arrangements in windowsills and other areas with full sun where flowers can wilt due to overheating. This includes windows, near computers, heating vents, or fans. Keep your vase filled with clean water! All flower and foliage stems should be submerged. Flowers stay fresher, longer when they can get a drink! Watch your water. When it gets cloudy it’s time to change it out, usually every other day. For best results, cut stems with a clean, sharp knife at an angle about one to two inches from the bottom. This allows them to better absorb water. Do not use scissors to cut your flowers because they can crush the stems and prevent water absorption. Place loose stems or wrapped bouquets of fresh flowers in your clean water as soon as possible. That’s 10 bunches of daisies delivered to you over a period of 3 months and each stem of daisies has multiple blooms per stem. Keep your home or office looking fresh as a spring daisy! 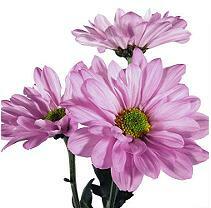 Daisies are a long lasting flower and are guaranteed to last for a week if cared for properly. Have you always wanted to design flowers? Now is the perfect opportunity! Makes a great present because it’s the gift that keeps on giving! 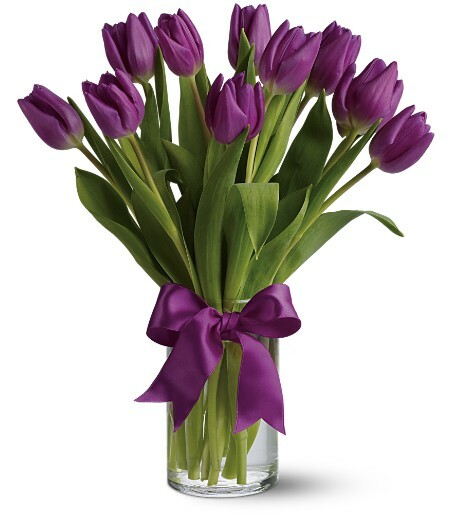 Get fresh tulips delivered to your home or office weekly for 3 months! This was our first weekly flower program and has been very successful. It even spurred the creation of our other programs- spray roses in the summer and alstromeria in the fall. And who doesn’t enjoy fresh flowers on a weekly basis. So click here for the order form or call us at (832) 850-7677 . After staring this article, I realized that it was going to be long so I’m doing a two parter. Part One of How to Decorate A Christmas Tree Like A Professional will cover picking a tree, lights, and ribbons. How to Decorate A Christmas Tree Like A Professional Part Two will cover ornaments and decorations, because there are so many options, I could write on that forever, but I’ll try to keep it short. I have decorated many Christmas trees in my years at Enchanted Florist, both indoors and outdoors. One year I think it was close to 50 trees of all sizes for a special project. We do commercial decorations for hospitals, businesses, and for homes as well. And after all that if we have time, we decorate our store. Don’t even get me started on my house. Until I had children, I never even bothered putting my own up, now I feel a little guilty if I don’t decorate for the holidays. Trying to fit in so many installations is challenging, one house has seven Christmas trees all on it’s own. Lucky for me, there is a science to it all, a formula you can follow for the perfect professionally decorated Christmas tree. When choosing a Christmas tree to decorate, remember it doesn’t have to be the most expensive tree, but you do get what you pay for. An artificial tree from Hobby Lobby may be cheaper, but it will probably only last a few years at most. The cheaper pre-lit trees just don’t last that long. Are you the type that gets tired of something after a few years? Then this may be a perfect option for you. Cheaper trees are also great if you’re doing a theme tree that you don’t intend to reuse next year like our snowman family. In my opinion, artificial trees are better, unless you are going to buy the really nice expensive fresh trees. You need good sturdy branches that usually just not there with the $40 trees from Walmart or the grocery store. If you are thinking about a colored or flocked tree, first think of the ornaments and accents you will be using. A lot of times, people choose items that match the tree and everything ends ups blending in and hides. So for instance if you chose a pink tree, all black ornaments would bed a good option and will show up nicely. I love flocked trees but not everything shows up on one. When using flocked Christmas trees, choose bold bright colors: reds, golds, and blacks show up real well. Every other year or so, my mom Debbie gets a flocked tree and uses reds, golds, and leopard print. I absolutely love this, and it shows up so well on her flocked tree. I only use white lights. When we go to market every year, 99% of all trees use white lights. And unless it is a specific theme where colored lights will highlight your items, most other professionals use white lights too. Of course the kids always want the multi colored or colored lights, and I recommend giving the kids a tree they can do themselves in a game room or their own room so they are happy, and so you don’t have to look at it. But, light colors seem to be a personal choice so pick what you like and stand by your choice. As far as how many, a good rule of thumb is 100 lights per foot of tree, 6 ft tree = 600 lights. And I like a lot of lights, the sparkle of it all. On an artificial tree, I usually cover each branch with lights weaving in and out from the trunk and around and then move up to the next row. It’s good to come up with a plan and stick to it so you know how to take them off as well. I know many of the trees now are pre-lit, but if its a cheaper tree, the lights usually don’t last that long. And nothing is worse than having an already decorated tree and a few strings of lights go out, so make sure your confident in your lighting before move on to the next step. Wired ribbon makes the tree! When picking out a ribbon, know what you need. Will you want to use this ribbon for many years, or replace it every year for a new look? You absolutely get what you pay for with ribbon as with most things. We generally buy professional grade high end ribbon when our customers want something that can be used for many years to come. I usually use two different ribbons when decorating a Christmas tree, and prefer for them both to be #40 (4″ wide), but sometimes I’ll use a #40 and #16 (3″ wide) when cost is a factor. When using two ribbons, I try for one to be shiny or metallic and the other to be more muted, this gives a nice contrast. In the picture above, the top ribbon gives you the flash and the leopard ribbon gives interest. We chose not to use the bottom ribbon, but it’s always good to hold a couple together to see what it will look like. If it were up to me, there would be big bows in a couple spots throughout the tree as well as the top, but that can get expensive so we usually only do a bow at the top of the tree. Well actually it’s three bows. I tie each bow separately and then add them to the top of the tree before it’s put on. The idea here is to get a seamless look with your bows. Even though most trees are up against a wall in most homes, the top of the tree is skinnier and tall and can be seen from most angles in the house. You don’t want guests (or yourself) seeing where you missed a spot. If we are using two different ribbons, I tie the ribbons at the same time into the same bow. Don’t know how to tie a bow, most family owned and smaller flower shops will tie you a couple bows for a small charge or for free, especially if you’re a regular customer. It is important that your bow be secure because it will help keep an angel or star straight and give it more support. And if you’re using something else at the top like feathers, berries, or other artificial floral stems, the bow will give you a grid to work with. Streamers- Which Way Do They Go? I always do my streamers top to bottom. First I don’t cut my streamers more than I have to, and I keep the bolts they come on to wrap them up each year. I start at the top, tuck one end under the bow, then kinda just throw the bolt(s) down towards the ground. Ever so often I tuck them into the tree (towards the trunk) and secure it with a tree branch. When you get to the bottom, I finally cut the ribbon and start over. I usually do about four “stripes” down per ribbon depending on the tree size and a few more if it’s a tree you can see all the way around. Ok as far as “How to Decorate a Christmas Tree Like a Professional Part 1” we’re all done. If I have left anything out, or you have absolutely any questions, dont hesitate to ask. I have a flower shop full of professionals that are here to help. And remember to have fun and enjoy!